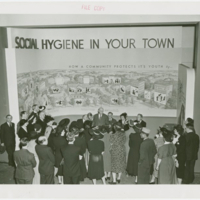 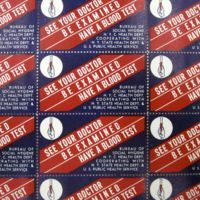 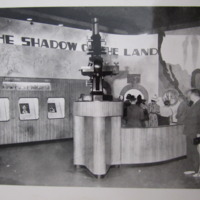 Coverage is exactly "United States--Great Depression"
This photograph shows an exhibit on public health at the 1939 New York World's Fair. 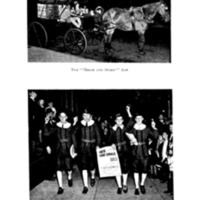 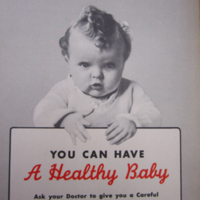 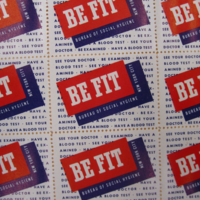 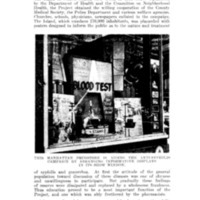 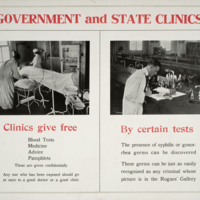 It features displays on infantile paralysis (polio), tuberculosis, rickets, and other issues. 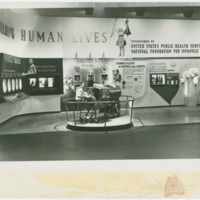 There is also an iron lung displayed. 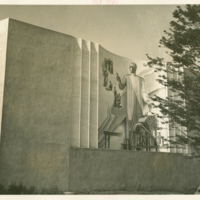 This photograph shows a mural on the medicine and public health building at the 1939 World's Fair. 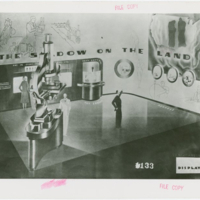 It shows a scientist doing lab work. 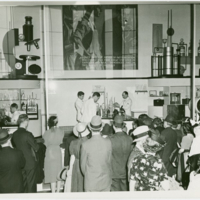 This photograph shows a demonstration of the milk pasteurization process at a 1939 World's Fair. 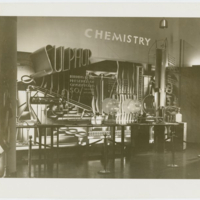 This photograph shows a chemistry exhibit at the 1939 World's Fair. 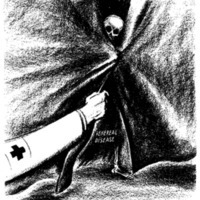 "Out From Behind the Curtain!" 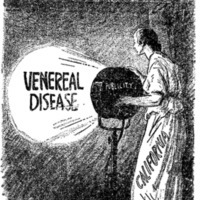 This cartoon shows the arm of medicine pulling venereal disease out from behind a curtain. 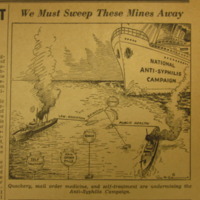 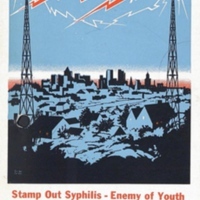 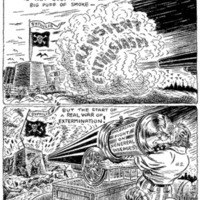 This cartoon supports venereal disease control. 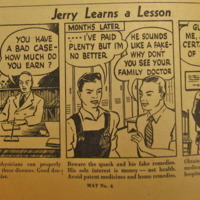 This cartoon conveys that California is addressing venereal disease.